National Science Day (NSD) is celebrated all over India with great zeal and fervor on 28thFebruary every year to remember the great Indian physicist Chandrasekhara Venkata Raman for his discovery of ‘The Raman Effect’ in the year 1928. On this day he made the path breaking discovery regarding scattering of light, the phenomenon which is called the “Raman Effect”. For this great work, he was awarded Nobel Prize in Physics in the year 1930. Sir Raman is remembered as a person of huge source of motivation and inspiration by all Indians especially the science students and scientists. The basic objective of National Science Day is to spread the message and importance of science and its applications amongst the people, especially school and college students. This is critical in accelerating the pace of development in the country. Even in the 21stcentury despite several significant scientific achievements and technological milestones, a section of our society is still guided by blind faith, superstition and beliefs, which is reflected in the quality of decision making on day to day issues of life. Celebration of National Science Day also attempts at generating scientific temper among citizens. Science has contributed a great deal in the human welfare. The basic objective of National Science Day is to spread the message and importance of Science and its application amongst the people, especially school and college students. Like previous year, this year also HIMCOSTE celebrated National Science Day on the theme “Science for the People and the People for Science”. Sh. Suresh Bhardwaj, Hon’ble Education Minister, Himachal Pradesh graced the occasion as Chief Guest.He highlighted the importance of science in today’s world. He motivated students to study science with zeal. Sh. D.C. Rana, HPAS, Member Secretary, HIMCOSTE; Sh. Satpal Dhiman, Joint Secretary (Env. Sci. & Tech. ), Sh Rakesh Kumar, Joint Director, Elementary Education, H.P, Sh. Ashish Kohli, State Project Director, SSA/RMSA H.P addressed the participants. Dr. B.K. Tyagi, Scientist F, Vigyan Prasar, Noida, U.P. presented on developing a culture of innovation. He said innovation is not limited to labs and R&Ds but in our day to day lives. Presentation on Vedic Maths was given by Dr. Chandra Mauli Joshi, Chairman, All India Ramanujan Maths Club, Gujarat. He demonstrated the Mathematics tricks which motivated participants in easy understanding of Mathematics. 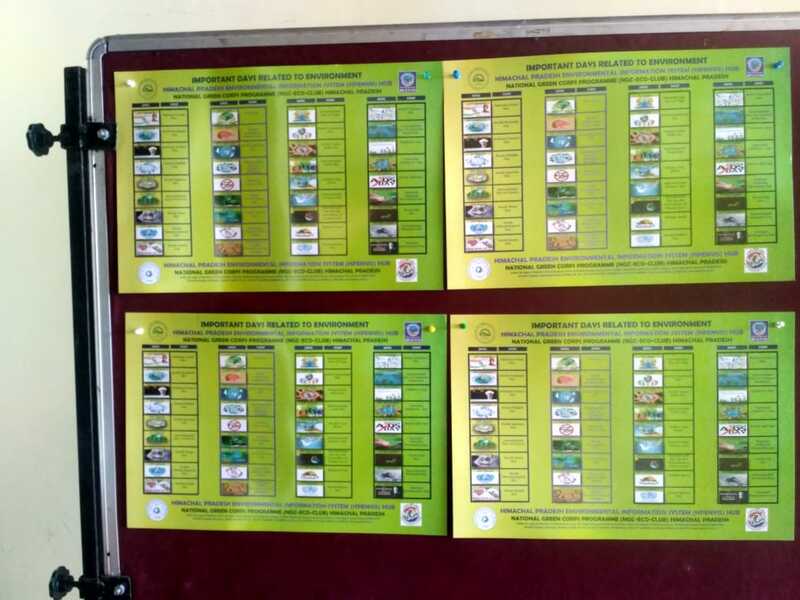 53 schools from Municipal Corporation, Shimla, 12 District Headquarter colleges, 6 Universities of District Shimla &Solan and local colleges of Shimla were invited for the contest. 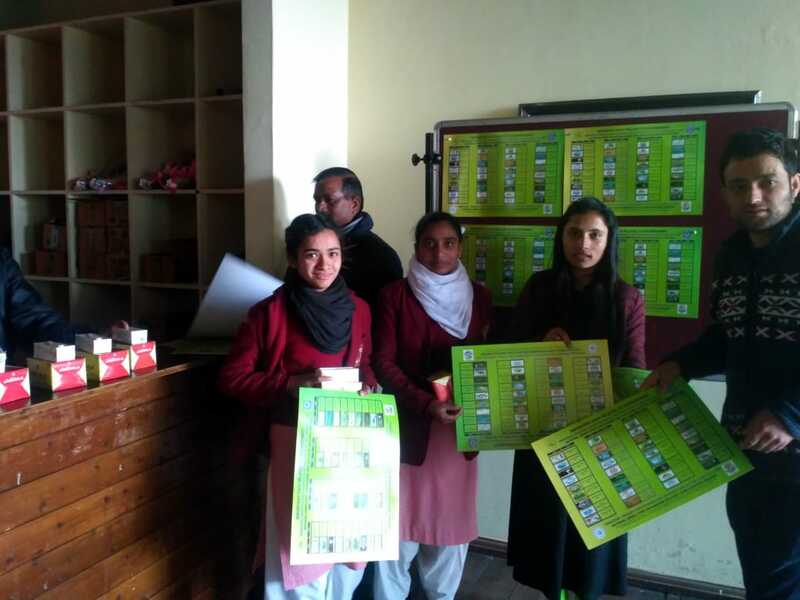 HP ENVIS Hub, during the event, under the publication, distributed the around 400 posters on “Important Days Related to Environment” to students of different schools in Shimla.